I never cease to be amazed, when sitting at a set of London traffic lights, how many cars around me have got very obviously incorrectly inflated tyres. You see them, one tyre all plump and pressured, another looking like it tried to squeeze into a pair of jeans several sizes too small, a big fat bulge. Now I know tyres are expensive, dirty, get pee’d on by passing dogs and with modern car body work, often out of sight and therefore mind. I get it, I really do but the best street slang I can come up with is ‘Get a Grip’ – quite literally! Those 4 round bits of rubber are integral to your cars ability to hold the road, in fact they are the only things that actually touch the road and if they are incorrectly inflated, they have a detrimental effect on the cars handling, the suspension, braking distances and your wallet. Under or over inflation causes premature tyre wear, and that means you have to fork out to replace them sooner than you would have done. So, check those pressures regularly is my first piece of advice, at least monthly and preferably weekly. Oh and don’t rely on those electronic pressure sensors built into the car to be accurate, they can and do go wrong, there is no replacement for actually checking yourself. If you don’t know how to do it, pop into your local garage and ask for a quick lesson, it really is very simple and could save you not only money, but bodywork damage or even injury if poorly inflated tyres are a contributary factor in an accident. So what about tyre wear? Even well maintained tyres wear out and therefore must be checked regularly – what was a perfectly legal tyre at your annual service or MOT 6 months ago isn’t necessarily one now. The legal requirement for tread depth in the UK is 1.6 millimetres, across the central ¾ of the tread around the complete circumference of the tyre – so any odd bald patches across the tyre are both illegal and usually an indicator of another underlying problem. Most car manufacturers now recommend replacing tyres when the tread reaches 3mm, to maintain optimum performance and we certainly wouldn’t recommend going below that either. 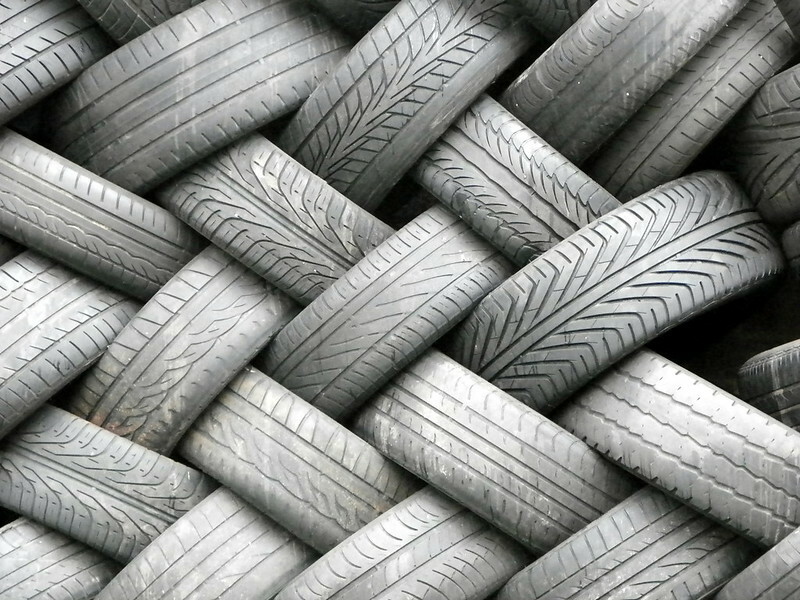 Tyres can require replacement for other reasons and these are worth checking regularly too. The common one is wheel mis-alignment causing uneven wear on one side of one or both front or rear tyres – if you see signs of such uneven wear, it is time to get it all checked out. Wheel mis-alignment can be simply that, the hurly burly of a tyres life has knocked things out of a line and a simple adjustment by your mechanic is all that is required, or it can be a sign of worn suspension parts that will need replacing. Curbing and impact damage – this can be bulges in the tread or sidewall, or gashes – any gash in a tyre deep enough to reveal the cords of the inner construction is illegal, not to mention dangerous as it increases the risk of a blow out. Emergency Stop damage – if you do have to stop very suddenly, it is always worth checking the tyres afterwards – think about those skid marks you often see on roads, they are the friction of the sudden braking burning the rubber off the tyres, which can leave a bald patch on them. Excessive wear on both edges of the tyre is often down to under inflation, whilst similar wear along the central band is a sign of over inflation. Finally, don’t forget your cars tyres have an inside edge and wall as well as an outer one, and that can often be the one that takes the brunt of the impact from pot holes, speed humps, etc, so make sure you check it, both visibly and where necessary by running your hands round the inner sidewall to feel for any unusual bulges, cuts, etc. Your tyres will be checked as part of your MOT and Service, so even if these two events fall on different days, that still leaves another 363 days for you to keep an eye on them and act on any problems. Any odd vibrations or wobbles through the steering wheel should be checked out too. If you are in anyway concerned about your tyres, pop in and see us, we are more than happy to give them a free check over and either put your mind at rest or advise on the best course of action. We will even check the pressures for you. Don’t be a slippery slider, keep those tyres working for you the way they meant to.